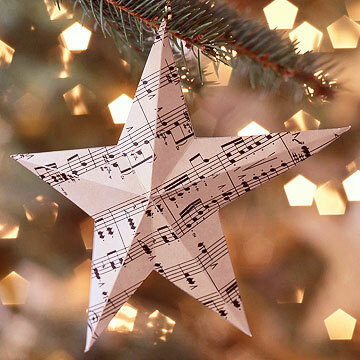 Back in 2011, I got an idea for something to do for the days leading up to Christmas – I LOVE Christmas music, both sacred and secular, so I thought it might be nice to post some of my favorites. The thing is, I have LOTS of favorites – too many for just one post – so I decided to do a musical version of an Advent calendar, and count down the days until that most joyous day which celebrates Christ’s birth. Whenever possible, I have included links where you can purchase your own copy of each day’s selections. I hope you enjoy my selections – some days there may be just one song; other days, I may do both a “church” and a popular song (both “classics” and contemporary); some days I may post different versions of the same song. I’m just winging it, so bear with me! When I was growing up, I always knew that Christmas was coming when we sang “Oh Come, Oh Come, Emmanuel” in church. It “kicked off” the Advent season; the church was decorated for Christmastime, and we would light the first of the Advent candles. I always loved this time of year, because it meant that we would get to sing some of my favorite hymns. Those of you who know me best also know how much I love great choral arrangements of music; while this is one of the lesser-known hymns, I’ve always loved the haunting melody – there’s something mysterious about songs arranged in a minor key. This song is usually sung a cappella, and this is a particularly lovely rendition by the Robert Shaw Chorale…..
Hope you enjoyed these – have a great day! “Christmastime is Here” by the Vince Guaraldi Trio is available on CD and MP3. “O Come, O Come, Emmanuel” by The Robert Shaw Chorale is available on CD and MP3. “O Come, O Come, Emmanuel” by The Piano Guys is available on MP3. This entry was posted in Advent/Christmas, Holidays, Music. Bookmark the permalink. Great posts T. I actually look forward to your choices each year.